One of the consequences of adult use legalization and expansion of medical marijuana programs in multiple states has been the growth of product manufacturers with consumer-facing brand names. Names like Nativ, Kiva, Wana, Cresco, etc. However, as noted in High Yield Insights’ Adult Use Cannabis Consumer and forthcoming Medical Cannabis User reports, only 13% of adult use consumers and 12% of medical users look for a specific brand when purchasing cannabis products. Certainly this number is low, but it shouldn’t be surprising given the challenges cannabis brands face. Among these challenges are their relative newness, uneven distribution within states and across multiple states, a majority of cannabis users prefer loose flower/bud, which tend to be unbranded and unclear marketing and advertising guidelines on social media and other platforms. With these challenges, of course building a brand following is going to be a challenge. Yet, a few companies are taking a long view—creating national cannabis brands with one product line, while also operating a separate product line in legal states. 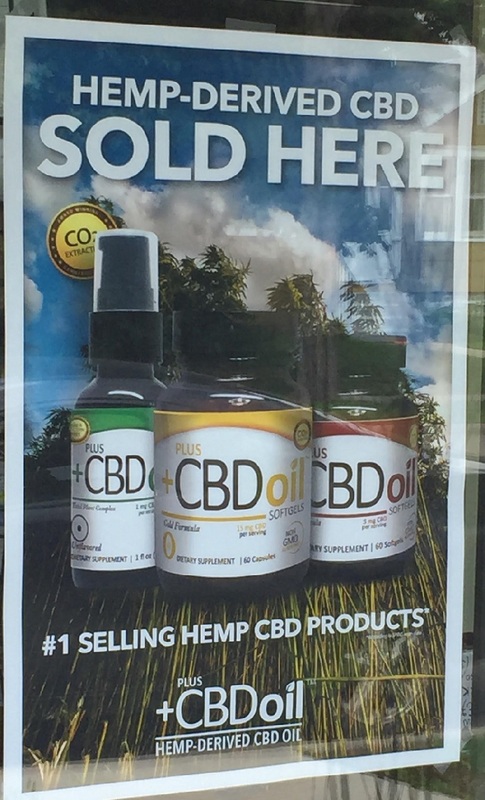 To do this, they are exploiting the fact that while marijuana-derived CBD is illegal in many markets (and certainly not shippable), hemp-derived CBD, with no THC, is shippable. To see this in action, consider Mary’s Medicinals and Mary’s Nutritionals. Known mostly for topicals and transdermal patches, the Medicinals line is marijuana derived and includes both CBD and THC. The Medicinals line is available only in adult use legal states plus a couple other medical markets. The Nutritionals line carries hemp-derived topicals and edibles with CBD available for purchase online. Select Oil follows a similar approach—a Select product line that features both CBD and THC, available only in a few legal markets, and Select CBD, CBD only vape pens and drops that are available to be shipped everywhere. This latter approach may be getting lost in the discussion around adult use legalization, but it’s one that all cannabis players should be thinking about. Essentially, Mary’s, Select and others are expanding their customer base beyond the few adult use legal states and more open medical markets. And, it should be noted, to large number of consumers who want the benefits of CBD but not the “high” feeling that comes from THC. While companies like Mary’s, Select and, even Lord Jones, may not be able to offer everything to everyone at this time, they are building a following and base by offering something for everyone. And for an industry where product distribution is a challenge, building brand awareness and loyalty requires taking a customer-centric view and meeting the customer where they live, with products they want.